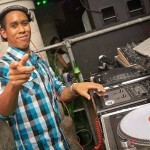 DJ Rusty G is a young and ambitious talent, determined to become one of the greats! 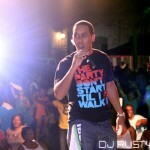 Cofounder and head DJ of Immortal Vybz Sound, Rusty G blazes a trail everywhere he goes. Born in Barbados, but raised in Bermuda, Rusty G grew up with a passion for music. 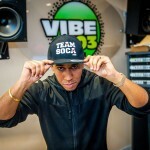 He began his DJ career in 2004, while pursuing his college studies in Toronto, Canada. His unique style and flair quickly won him over amongst the student community, and it was not long before he was playing at all of the biggest college events in Toronto. He carried his success back to Bermuda. Adopting different styles over the years, Rusty is now confident and comfortable playing a wide range of music from any genre or period. He is the DJ behind all of the Immortal Vybz remixes (I.V. Remix) and the majority of the sound’s popular mix tapes. Rusty is notorious for breaking boundaries and setting the bar for other up and coming DJs. Now, a member of both Top Gunners and Shadyville Caribbean DJ fraternities, he provides professional, quality DJ services. 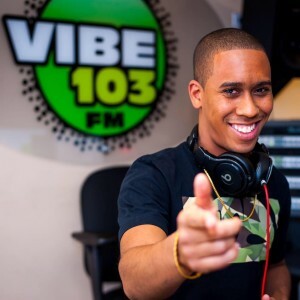 DJ Rusty G can be heard every weekday during the 5 p.m. Traffic Mix on Bermuda’s #1 radio station, Hott 107.5FM!